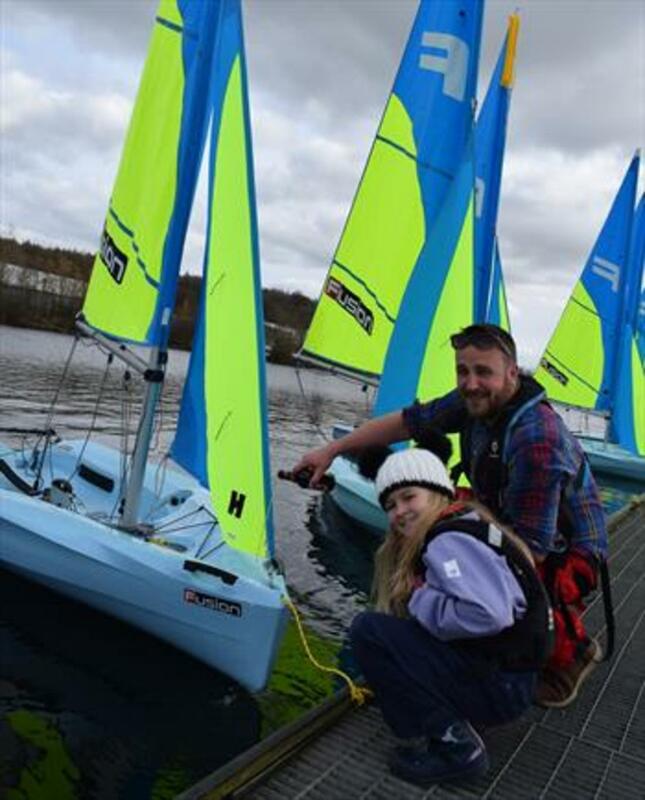 Ripon Sailing Club marked the start of their main season on Saturday 23 March with One Big Day of events and activities. The training team ran an information and introduction session for all the new Dinghy Instructors who have qualified in the last year to go through rigging the club boats, the day also included CPD for the more experienced instructors; other members who are interested in helping at training courses also joined in and the group had a great time sailing the variety of boats the club owns; the highlight being club training principal Mark Fowler taking his annual trip out in an Optimist! Meanwhile, during the morning, the coaching team finished their winter training sessions with a morning of start practice for members who had attended advanced race training over the winter. Beginner and intermediate race training starts in late April and runs every Sunday morning parallel to the main club racing series.